Over the years, I have spent a lot of time in the wild observing, understanding and photographing wildlife. I have learnt many valuable lessons from mother nature. One for example is about Lions. The Lion may be “The King of The Jungle” but it’s the Lioness who is “the True Leader”. The Lion is big, masculine, roars loudly and plays a very important role in protecting its pride and its territory and is called the King of the jungle. However, the Lioness plays even a more important role which includes hunting for the pride to feed it, raise the cubs successfully (especially with very high mortality rate for lion cubs in the wild), methodically coach and train the future lions and make them adept for staying at the top of the food chain. Lioness are the ones who keep and grow the pride and ensure its perpetuity. Hence it’s not just the Lion who is the King or is more important, but it’s the Lioness who is equally if not more important to its pride. I give this analogy of Lions not because of its gender traits but to tell a story of hierarchy and its relative importance to leadership. Similarly in an organisation it’s just not the CEO but it’s the CXOs and leaders at the middle of the pyramid that are crucial and important to organisations success and perpetuity. As an organisation clearly define your leadership framework. Framework consisting of – Values, Competencies and Behaviours that you expect you leaders to imbibe, role model and develop themselves and in others. First help leaders assess their capabilities and styles and identify gaps. Use validated assessment techniques and experts – avoid a home-made and untested remedy when it comes to leadership assessments. Then, start to shape, influence, build and develop leadership competencies and capabilities from the top. CEO and CXO group should be totally aligned and committed to role-modelling and living them. I would emphasise more on “shaping” and “influencing” by ways of coaching as compared to the traditional class room training methods to build leadership competencies and capabilities. Please remember, people are cast into unique and diverse moulds depending on the background of their upbringing and that’s mostly reflected in their style preferences. Never try to break and re-mould people, instead shape, influence and help them understand the effect of their behaviour on others. Educate them on how they should best flex their style depending on the situation. Remember diversity of leadership traits and styles can be a strength. Don’t allow the CEO to start cloning people to match or look like his DNA. Most organisations in my opinion make the mistake of focussing their development effort only at CEO, CXO and their direct reports level (the top of the pyramid). Some call it their “top 100″ and other ‘top 300” depending on the size of their organisation. I have said it in point no.1 that top down approach is important but don’t restrict your leadership development to the top of the pyramid. a) Leaders at the middle level of an organisation have the maxim performance and productivity impact on people whom they lead and influence. b) Middle level leaders are the pipeline of the future leaders of any organisation and they need to be disproportionately invested into. Make sure the performance and rewards in your organisation are equally balanced on the ‘what’ and ‘how’ of the results. Many organisation recognise and reward their people on parameter that are more biased towards the what (High Sales numbers, low-cost of operations, brand ratings, etc) and nothing wrong in that. But giving equal weightage to how these results were delivered (compliance to standards and laws, by being ethical and honest, by coaching and developing people) is very important. Top-notch organisation always focus equally on the “What” and “How” the results were delivered. Lessons on leadership from armed forces are valuable and inspiring and there is a lot to learn from them. But, remember that the context and rules of the game in the Army and a Corporate organisation are very different and hence not every leadership capability and its context can be applied as it is. May be a separate blog later on this topic!! Dont overwhelm early in career leaders by expecting them to act and deliver like highly evolved senior leaders. Let them make mistakes, learn and evolve as leaders with their original style. Coaching and creating a culture of learning for leaders by action-learning is key. Traditional classroom training doesn’t teach corporate leaders much. The slum-dog millionnaire learning style is crucial. Attitude, character and thinking ability differentiates good leaders from others. 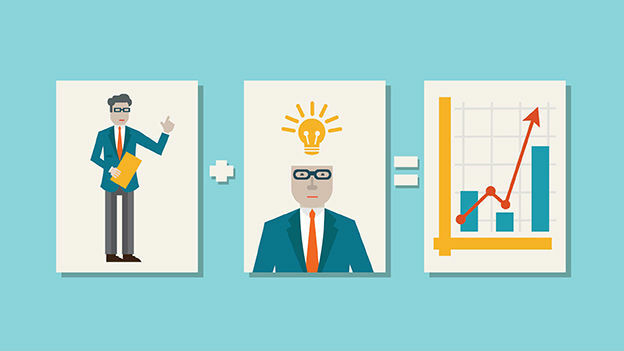 Skills and capabilities as a business manager become threshold. After a point skills and capabilites do not differentiate leaders to be effective. Its attitude and charachter of the leader which comprises of many things such as honesty, ethics, sensitivity to people and cultures, ability to develop and grow more leaders, to be a life long learner, etc, etc. We assess, hire and develop leaders based on their experience, skills and capabilities with such little focus on knowing their attitude, character and thinking ability. Hope there is better balance in every organisation on this front. What I learnt about learning. 1. There have been new research outcomes and suggestions in the area of neuro science and human learning that has helped us understand how people learn and hence it has compelled many to re-think their learning interventions and designs. 2. The advent of technology and disruption caused by the digital and social media has turned the concept of training and classroom learning upside down. Today, the technology of Learning Management Systems (LMS) has beautifully evolved from systems of record to platforms of sharing, networking, knowledge management and hence learning. The LMS functionality and its apps have made them a superior platform for learning on the go. Smooth dovetailing of the LMS with the HR ERP is helping connect the learning function with the overall competency-based HR processes of the company. 3. The unique needs, styles and aspirations of the millennials and younger generational workforce members have compelled many organizations to re-think their learning function and its offerings. The whole shift from traditional classroom-based training to mixed models of learning such as on-the-job, coaching and mentoring, open source learning platforms on the internet is picking up rather fast and every company needs to have a clear strategy, plan and a technology platform that can cater to this. 4. Sustained economic uncertainty has compelled organizations to become more efficient with the learning and capability building investment. Theoretically speaking, learning is still a discretional spending. However, many have learnt that not having the right capabilities, skills, competencies and knowledge makes today’s knowledge workforce inefficient and unproductive and that severely affects the organizations’ performance and perpetuity. It is important that the learning function takes advantage of the fast evolving digital and social tech platforms. You better be continuously innovating and learning or you will soon become irrelevant to your audience and learners. For instance, 20 years ago not many would have imagined that high-street banking will die and all those beautiful bank buildings on the high street will become cafes, bars or boutique shops. Because of the shift towards online banking, the banks with the best online banking products, solutions and service and security will survive and win. Similarly, not many imagined that you would not have to buy a newspaper or watch television at home to keep pace with the world and its news. Today, I don’t buy a newspaper and watch television for news!! Look at what’s happening to the retail sector. I had never imagined shopping suits or shoes online, but today I do and it works well. Hence, make sure you have team members who are tech savvy and have the necessary skills and competencies for leveraging the best in class technology and social networking/learning platforms. Companies and vendors still talk about instructional design (ID) as the core of learning content development. ID was at the core when the dominant medium and channel of learning was the classroom, where the belief was that the instructor or teacher is detrimental to one’s learning. Charles Jennings, my good friend and the father of 70:20:10 learning principle and framework helped me understand and learn how important and fundamental this learning principle and framework is. 70 +20 = 90% of your LED should be on the job with leader led support and just 10% should be formal (Classroom + E-learning). E-learning modules, even if they are available on the mobile, are categorized as formal learning offerings. One of my biggest learning was in the area of designing action learning offerings for people to learn on-the-job. The difficult part in doing this is designing and ensuring a standardized way for the leaders to coach and support their employees whilst they are in action learning mode. I must say that I continue to learn in this area every day. Another important learning for me was that the company has to make some clear strategic choices about what they will do themselves versus what they should buy from vendors especially in the area of learning content development. We built a small but a powerful content development organization in Pune for the Philips University and they are more a COE, where they do develop some of the learning content for Philips University but their primary role is to ensure quality of learning design and content for all learning offerings of our company and develop strategic vendors for the bulk of learning offerings. It works very well and I am blessed to have a fantastic team of highly competent and skilled people who are making a huge difference. I had once blogged on this topic and in my opinion it’s important when it comes to learning too. You can create the entire infrastructure and build all the technology platforms, but if you don’t work on creating a learning culture, culture where learning is sought, supported and celebrated – you will fail in achieving the desired impact of learning in any organization. Leader led learning is a very strong trait of any organization’s culture. It’s when leaders of the organization own, support and drive learning versus the Learning COE. Learning COE should be the enabler and the value creator and not the owner of learning. Building a learning culture is by far the most difficult thing when you are transforming learning and one my learnings is that it takes time to build the culture. It’s a journey – but you have to be at it. 1. Don’t confuse learning with leadership development. Learning is a sum of many parts, while leadership development, talent management, culture building, capability building, leveraging technology are some of the important parts. If you don’t embed leadership development under learning and treat and manage it separately – you might end up confusing the organization and there might be duplication of efforts. 2. Run your learning like a business. Most progressive companies invest significantly in learning and as the Chief Learning Officer you are managing significant budgets. Business acumen, the ability to manage P&L and be operationally excellent are pre-requisites for any CLO. Fortunately, I had done line roles in the past and had the experience of managing P&Ls and large budgets, but I learnt how to run learning like a business, which creates value for its stakeholders and measure its impact on the organization and its eco-system. The five practices of excellence—Project Management, Process Management, Change Management, Performance Management and Continuous Improvement—are fundamental in managing a large scale learning transformation program. Make sure you have the best-in-class people owning and leading each of the above-mentioned practice and apply lean and design thinking as you build the ‘Learning Machine’ for your company and run it like a business. In conclusion, learning is indeed a very specialized subject and it has some very specific technical nuances, which one needs to learn. However, it’s not rocket science if you have a strategic mindset, are operationally savvy and have the will and wherewithal to learn and innovate. It takes time to transform learning and create a learning culture and in my experience it takes about two to three years to manage a project well. The transformation journey has its moments and every moment and experience over the past two to three years has been learning for me. If I was asked to do it all over again, I would say a BIG YES and will be able to do it more smartly because of my learning about learning. Get off that dead horse…. 9. Providing additional funding and/or training to increase the dead horse’s performance. I found the above satirical viral email (source unknown) rather interesting and thought provoking. Attempting to put the above in context, let me begin my post in which I will present some of my perspectives and opinions on how the corporate world keeps beating some of the dead horses instead of dismounting them. 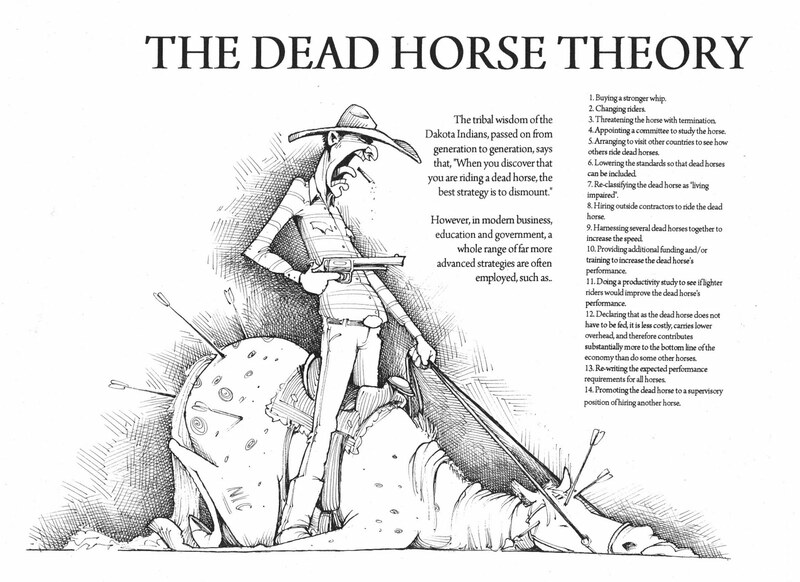 In the corporate world the dead horse theory is often seen at play in many areas but some of the prominent areas in my observation are; Strategy, Policy, Processes, Technology and People. How often have you seen a dead and an irrelevant strategy being defended and persevered, dead strategies which aren’t delivering results or are making the desired impact. I have seen it a few times and I have confronted and challenged it as much as I can. Must say that, if not always, I have often succeeded in convincing people to stop beating the dead horse (persevering with the dead strategy) and instead mount a new one. About a decade ago when I used to work for a top company in the Asia Pacific region as their HR Business partner, I remember challenging my talent acqusition team on the old and irrelevant strategies of attracting talent from Engineering and MBA Schools. The old strategy included focussing on pre-recruitment season talks at the campuses, recruiting a few interns and some graduates. The war for talent had intensfied and if we had persevered with our old strategies then we would have lost the plot. The new strategy was not about just recruiting talent, it was all about building a employer brand which was valued internally and externally by the talent, it was about engaging with the talent in campuses throughout their academic period and not just before the recruiting season. Mounting a new horse did pay off as we were successful and managed to attract and retain very good talent. I often find many companies complaining about the war for talent and how the talent shortage is affecting their business. I say, look at your strategies and if they are a dead horse then dismount and ride a new horse. Complaining and persevering with your old strategies is like beating a dead horse and it won’t help. TECHNOLOGY is another classic area where we live with and flog irrelevant and dead technologies and coz of various reasons we don’t upgrade the technology or the skills required to upgrade it. This causes serious efficiency and productivity issues as compared to competition and sets many companies back. Enterprise-wide, integrated, efficient, secured and standard technology platforms across the company is every corporations goal. But the pace at which the technology is changing and evolving, it’s rather hard to decide when you dismount the dying tech platform horse and mount a new one. And the horse of technology comes at a cost, which is difficult to capatilisze coz of its shorter life cycle even when compared to fashion. In my observation as compared to the cost of technology the bigger issue is the know how and competence of the leaders about the changes, evolution and real benefits of newer technologies. Hence most are often beating a dead horse of a technology platform, thinking it’s alive. When it comes to PEOPLE – how and when to consider them a dead horse. The corporate world’s leaders and their beliefs, thinking, philosophy and ethos is basically divided in three categories. 1) There are leaders and organizations with a harder view and approach and as per them when people reach their level of incompetence (Peter Principle http://goo.gl/yGPUYe) then those people (“Dead Wood”) should to be separated and exited from the organisation – either on grounds of non-performance or in a wave of restructuring and downsizing. 2) Then there are those who have a more softer and socialistic view and approach and they believe that people can never be termed as “Dead Wood” or Dead Horse – until they retire or literally die. 3) Then there are those who have a blended view and approach of the earlier two explained, they are neither too hard nor too soft and socialistic. In my perspective PEOPLE whom we term as HUMAN RESOURCES are the most valuable resources of any organisation and it’s the responsibility of any good organisation and its leaders to invest in developing and growing their people and keep them employable. However, the responsibility of the PEOPLE towards themselves and their organisation is to ensure that they take a lead and co-ownership of their development (Knowledge, skills, values and attitude) and ensure their own employability. In my opinion a person can be termed as a dead horse in an organisation when they are consistent non-performers and makes no effort or shows no willingness to improve their performance and skills. People who are dis-engaged and are uncapable of engaging others and creating value for their organisation are like horses that are about to die. Last but not the least, people with lack of integrity and or unacceptable standards of ethics are serious dead horses. Organizations and leaders should definitely dismount these type of dead horses and find and mount good ones. Would love to hear your views, opinions and perspectives on this. How to launch a career in a sluggish job market. Globally weak economy, sliding Rupee, high inflation, policy paralysis, upcoming elections, etc, etc have slowed the growth in India and there are clear signs and forecasts that macro-economic outlook and GDP growth for 2014 will remain modest if not weak. Companies therefore, will be cautious in 2014 and are likely to focus more on managing and controlling costs as opposed to making big investments. As a result, hiring forecasts for 2014 might remain weak. Wise and progressive companies will continue to “invest cautiously” in hiring fresh engineering and MBA talent, however, there will be an unfavorable effect on the Engineering and MBA talent pool graduating in the summer of 2014. How to best handle your career take-off in a sluggish job market, wherein fewer good opportunities will present themselves and chances of getting your dream job may not be that bright? 1) Don’t blame or doubt yourself and stay positive: It’s important to understand that this situation is not your creation and you are just a little bit unlucky to be graduating in these tough times. Stay emotionally strong and keep smiling. If you didn’t get a Pre-placement Offer or Pre-placement Interview from the organization where you interned as an MBA student this year – don’t get negative or cynical about that organization. In fact, thank that organization for what you learnt there and build and maintain good relations. Coz when the tough times are over that same organization could re-consider you. Most important when you are being hired by another company, your references will be checked with the company you interned in!! 2) Re-set and refine your goals and objectives: If you are amply clear that your dream job in your dream company isn’t going to happen – then re-configure your near term goals and objectives and identify and prepare yourself for the next best thing that’s possible and is lurking as an opportunity. Very important to have a Plan-B and more important to activate it. 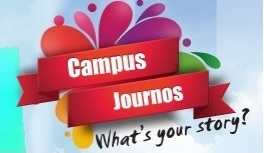 3) Don’t depend on your campus placement process alone: I have often said this before, the controlled and traditional methods of placing MBA students by running a campus placement process which is managed by a body of students and the school management is a big deterrent to the students prospects – coz, bright students are robbed of their choices and are forced into accepting offers from limited choice for the sake of placing other weaker students. Also the Indian MBA School’s campus placement process is not designed for sluggish times. It’s a socialist approach to ensure that everyone gets a job (assuming many companies are out there wanting to recruit from that campus) and then the college can boast of a placement record, instead of boasting of a top-class learning environment. Anyways, don’t depend on it and challenge it and change it, if you can!! 4) Leverage Social Media: Be present on Social Media Platforms, especially the ones that are used by companies to identify and recruit talent. My top three platform recommendations are LinkedIn, Twitter and Facebook. Make good profiles and be present on them with the objectives of connecting, sharing and learning. In addition leverage on the connections you have already built with executives and friends you have made in the corporate world and seek their help in sighting and applying for the right opportunities. 5) Value what you get: Whatever opportunity you land up with – value it and give your best to the company that hires you, work hard and learn. If you don’t value what you get and keep thinking about why you didn’t get what you sought dearly, it won’t help. There is nothing such as a second grade organization. Leaders, employees and their values make an organization and if you are going to be one of them, then make it a top-notch company. Work with total commitment and passion and you won’t go wrong in making a career!! Wishing all the MBA students on Indian campuses (who will graduate in 2014) all the very best and now that you are experiencing the real world and its challenges, I would encourage you have a constructive conversation with your junior batch students and share with them your wisdom and importance of summer internships, which they are seeking right now for the summer on 2014. Most points mentioned above are applicable to them as well. I enjoyed this view almost every evening for about a decade (from 1975 to 1985) at the Gwalior Fort in India (http://en.wikipedia.org/wiki/Gwalior). I was then studying at the prestigious boarding school in India, The Scindia School Gwalior (http://www.scindia.edu/). Whilst at school we had a very important and a beautiful ritual, which was the evening prayer congregation of fellow students. 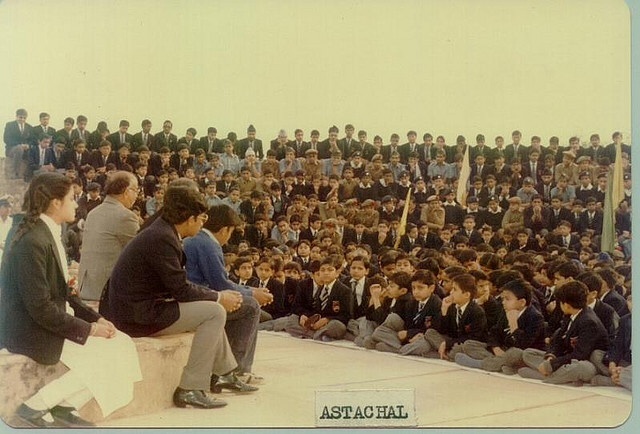 This congregation used to take place at “Astachal” the amphitheater of the school. 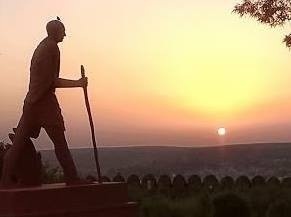 The setting was very serene, scenic and simply beautiful, the amphitheater has a large size statue of Mahatma Gandhi which further overlooks the city of Gwalior with the hills and the sky in distant background (http://www.scindia.edu/asthachal.php). The timing of the evening prayer congregation at Astachal was usually synced with the sunset time of the season. 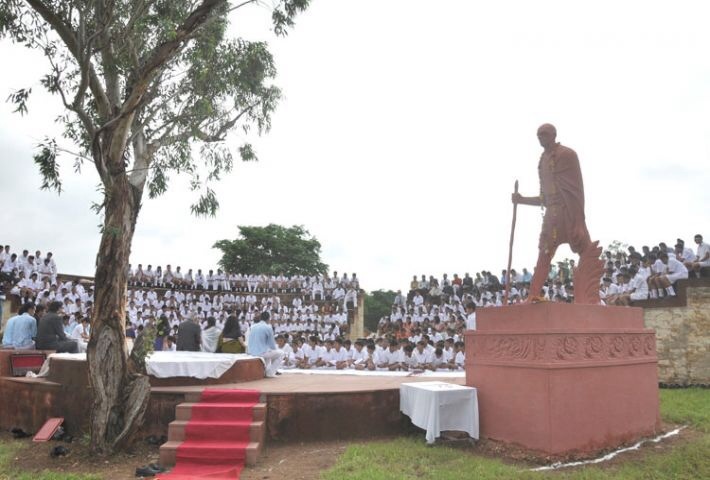 What I learnt and imbibed as a young student at Astachal was something unique, which serves me well even today and its become my daily habit of doing silent introspection. Whilst introspecting, I look within myself, get in touch with my own feelings and emotions and I ponder over my day; what went well, what didn’t go well, what I did for and to others, what others did for and to me, what made me laugh, happy, exited, sad, etc, etc. I hand over my sad and bad part of the day to my god and during the process of introspection I make resolutions, promises to self and plans for the next day. Every evening after the introspection, I feel the lightest and second best. The day after when i wake up and get ready for the day, I feel the best!! Since I seem to have achieved some success (at-least my wife and children think so – coz we have grown up together!!) in my career. For the past one decade or so I have been operating as an senior executive in the corporate world – the pressures and stress has only increased and trust me, its always high. There are various things that help me deal with the pressure and stress and this ritual and habit of silent introspection that I imbibed at the Astachal is my daily antidote. 1) In a meditative form in just 20 mins, I can re-cap my whole day and assess the positive and negative happenings and the related emotions (today not at Astachal but on a flight or in the back seat of my car). I get in touch with my feelings and emotions everyday. Hence, I let go off my negative feelings and emotions every day and I don’t carry them forward. 2) I feel chuffed about my positive feelings and emotions and plan to make them a part of my next day. Helps me stay positive and bright. 3) I apologies to people without any ego, if I have caused them grief and I thank and appreciate people who have helped me and made me feel good, and on almost a daily basis. 4) Most important, I am ready and prepared to have courageous conversation with people who have given me grief and have tried to erode my esteem. I don’t take it lying down! 5) I have a very peaceful and a light evening and enjoy my drink 🙂 and go to bed with reduced stress and pressure.